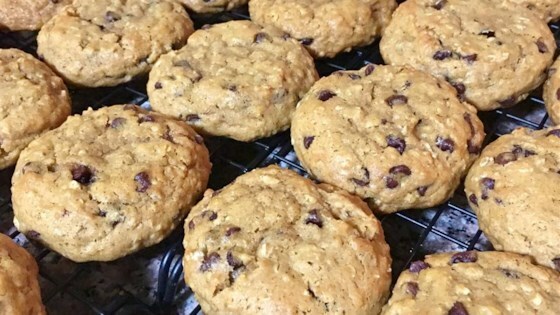 "Excellent moist chocolate chip cookie with oatmeal and mini chocolate chips." Mix flour, oats, cinnamon, baking soda, baking powder, and salt in a separate bowl; stir into creamed butter until combined. Fold chocolate chips into batter. Drop 1 to 2 tablespoons batter for each cookie onto a baking sheet. I didn't like the texture of these and they didn't have near enough flavor. I'll probably try making pumpkin bars next since I don't know how I would ever get the texture of these right.